Could your job be causing your vitamin deficiency? Do you spend most of your time indoors? Does your job involve sitting at a desk all day seeing only the light from your desk lamp? If you do work indoors often, do you find yourself getting easily tired, maybe having joint aches and pains, or trouble controlling your blood glucose levels? A recent study has found that your office job could be robbing you of the sunshine vitamin D and may be in turn causing a vitamin D deficiency. Therefore, most of the vitamin D your body absorbs is likely coming from sunlight or from supplements. However, if you are mostly indoors during your day, you may be missing out on the health benefits of vitamin D. Some of the functions of vitamin D include bone strength, immune function, and reduction of inflammation. Therefore, when you do not have enough vitamin D in your body, you may have increased risk of chronic diseases such as obesity and diabetes. This is because such chronic diseases stem from inflammation in the body. 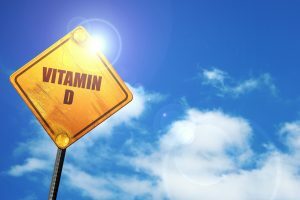 A recent study in the journal BMC Public Health looked at 71 previous studies and found vitamin D deficiency in over three-fourths of shift workers and indoor workers. In addition, over two-thirds of health care students were vitamin D deficient. Furthermore, even nearly half of outdoor workers had vitamin D deficiency. They think that use of sunscreen and limited outdoor time may be causing such a high rate of vitamin D deficiency. However, researchers also warn people of the risks of skin cancers from too much exposure to sunlight. Therefore, vitamin D supplements are an option for those who are low in vitamin D. Most adults should get around 600 IU vitamin D daily. Your doctor however may suggest more if they feel you may be more at risk for low vitamin D.
Another way you can get vitamin D is through a supplements such as Osteovent from Vita Sciences. Osteovent not only contains vitamin D3, but also bone health calcium and magnesium. This formula, which also contains vitamin K and boron, has been shown to promote bone strength.